Perfect location right in the heart of the old town. The kitchen implements are sufficient that we can easily prepare our meals. The host is really nice and responding our needs in very short time. La stanza era un appartamento enorme...il titolare molto gentile. The room was an huge apartment...the owner was nice! Location is very good, closed to center and rooms are big and clean. Fabulous apartment in a great location. Really well appointed and full of charm. Very clean and comfy. The location of this simple, but elegant apartment is perfect - in the heart of the city, and literally at the exact base of the two footpaths leading up to the two stupendous castles. Oh, and within minutes (actually seconds) of many nice restaurants. Beautiful location, spacious apartment, well equipped kitchen, welcoming, friendly and helpful host. It was a pleasure staying here! Matteo welcomed us very smoothly and explained everything we needed to know. All necessary supplies for the kitchen and bathroom are available. There is also tea, coffee and food. Super nice view to the church and castles. Several restaurants and shopping stores are nearby. We had a short but very great and pleasant stay. We would love stay in this apartment again! 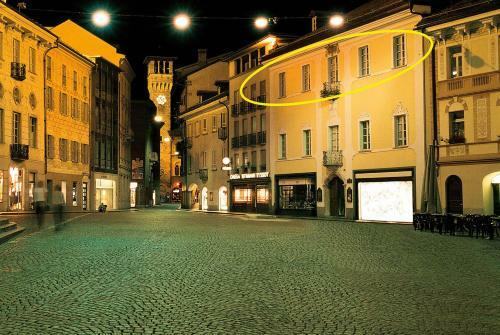 Lock in a great price for Bellinzona Piazza Collegiata – rated 9.4 by recent guests! One of our best sellers in Bellinzona! 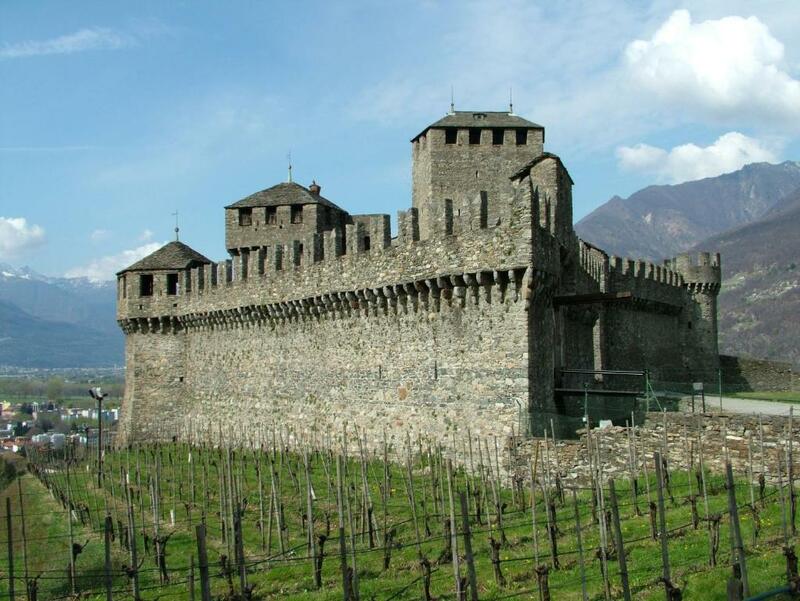 Located 650 feet from Social Theater of Bellinzona and 650 feet from Three Castles of Bellinzona, Bellinzona Piazza Collegiata offers accommodations in Bellinzona. The property features views of the city and is 650 feet from Castelgrande Castle. Free WiFi is featured throughout the property. The kitchen is equipped with a dishwasher. 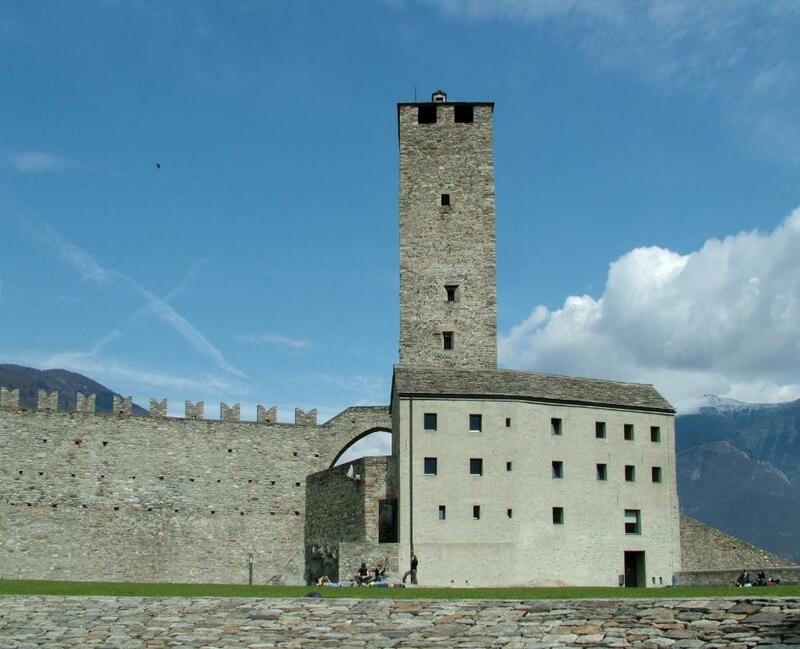 Towels and bed linen are available at Bellinzona Piazza Collegiata. Lugano Airport is 14 mi from the property. 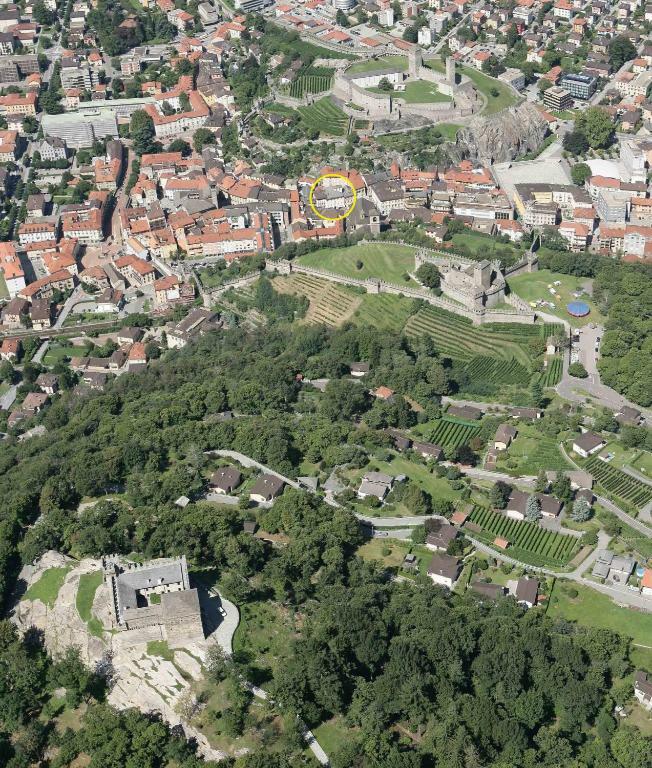 This property also has one of the top-rated locations in Bellinzona! Guests are happier about it compared to other properties in the area. This property is also rated for the best value in Bellinzona! Guests are getting more for their money when compared to other properties in this city. When would you like to stay at Bellinzona Piazza Collegiata? This apartment has a microwave, stovetop and dining area. 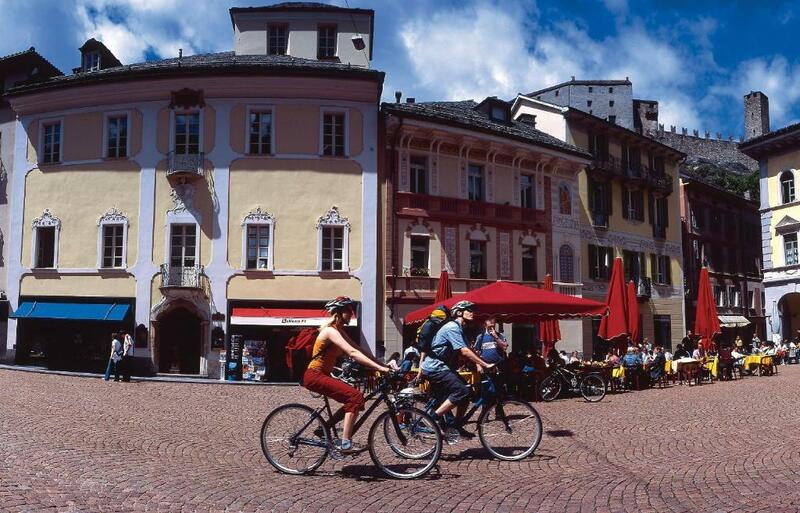 In the historic district of the Ticino capital city, enjoy the view on the main square and the Saturday farmers' market. Ideal for couples or small families. There is one bedroom with two queen beds: a foldaway bed and a pull-out sofa. Draw your eye upwards to appreciate the high ceilings of this historic building. Stand on the tiny balcony and enjoy the view of the Piazza. Walk through the Saturday farmers' market and make yourself a gourmet meal in the eat-in kitchen. Explore the picturesque corners of the medieval town just outside the front door. If you come by car, you can park for free 900 meters from the apartment (you will need a navigator to find the parking). Near the apartment there is a paid public parking, ideal for check in and check out: from 7 AM to 7 PM the first 30 minutes are free. The apartment is located in the pedestrian area. Friday and Saturday evening you could hear people talking loud in the street. If you prefer to leave the windows open, bring earplugs for a silent sleep. I publish three consumer magazines, I manage a children's center, I am in the supporters board of the Swiss Patient Organisation and the founder of the school of journalism in Bellinzona. 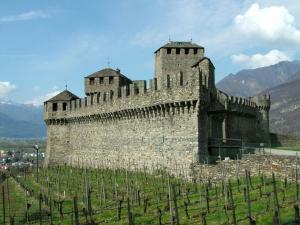 The three castles of Bellinzona (Unesco World Heritage) are an exceptional case among the greatest fortifications of the 15th century, both by the dimension and by the excellent state of conservation. 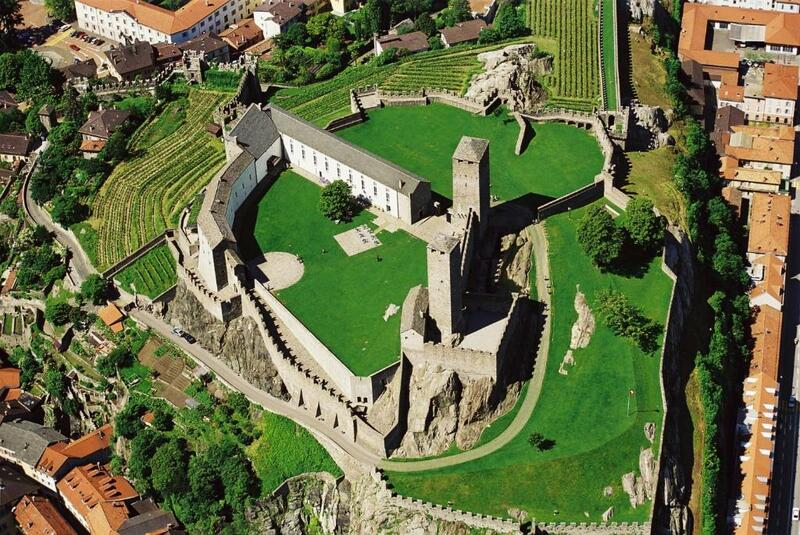 The castles are linked by a wall that once closed the Ticino Valley, and the ramparts which surrounded the town. 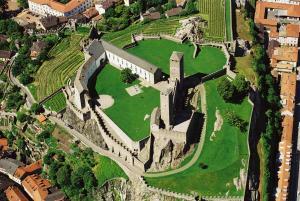 The apartment lies in the historical district, between the two biggest castles. 7 minutes walk from the main station. Switzerland's public transport is clean, safe, reliable and efficient. Trains and buses are coordinated and well organised. Timetable and prices on the SBB Preview app. Shops, restaurants, parking, banks and tourist office within 2 minutes walk. On Saturday morning (from 8 AM to 1 PM) the farmers' market in the pedestrian area is a popular meeting place. In a convivial atmosphere you will find fruits and vegetables, local cheeses, bread, clothes, household and leisure goods. On market day the restaurants offer modestly priced dishes, such as polenta, risotto and minestrone. 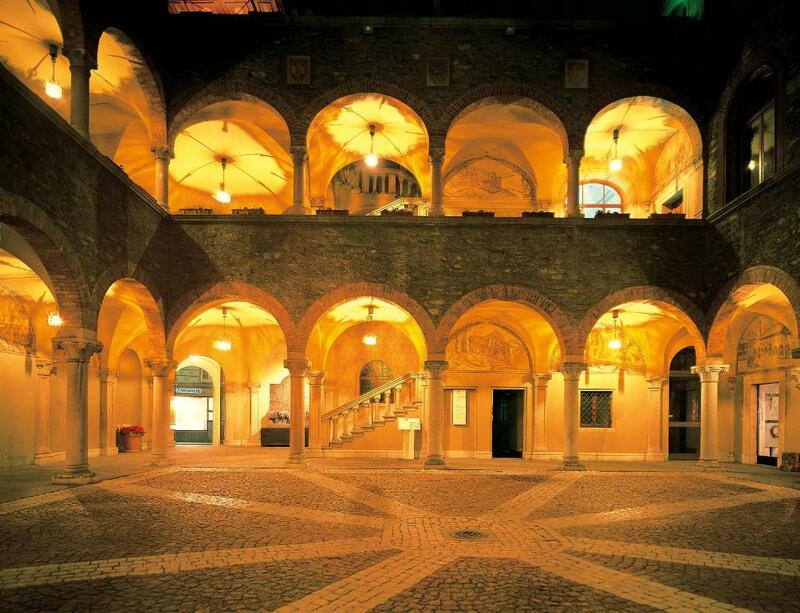 House Rules Bellinzona Piazza Collegiata takes special requests – add in the next step! 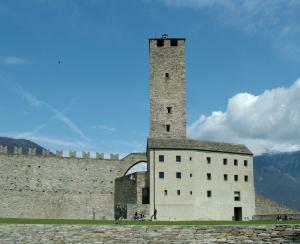 Please inform Bellinzona Piazza Collegiata of your expected arrival time in advance. You can use the Special Requests box when booking, or contact the property directly using the contact details in your confirmation. The apartment was much warmer for sleeping than we are used to. We did open windows which helped. Great to make your own breakfast. At night people on the street outside might be sometimes loud. For us it was fine, as we went to bed late, too. The neighborhood, the view to the church and piazza. The appartment.